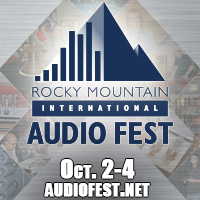 Alta Audio is excited to announce that we will be exhibiting at the Rocky Mountain Audio Fest 2015 on October 2nd – 4th on the Fifth floor in Room 542. We’ll be exhibiting the Lelantos as well as an exciting newly designed speaker. Stay tuned for details! Alta Audio will be exhibiting at T.H.E. Show in Newport Beach, CA May 29-31 in Room 1417. We will be featuring the Celesta FRM2 as part of our top of the line performance system as well as displaying the Lelantos and the Solo. We look forward to seeing you there!